Hello my lovelies, how are you doing today, I hope this finds you well. 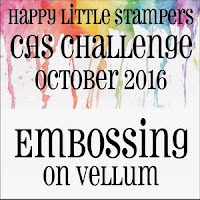 Another month has whizzed by and that means another new challenge on the Happy Little Stampers CAS blog, where we want to see, embossing on vellum. 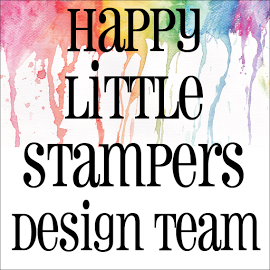 As ever, Happy Little Stampers are sponsoring the challenge, so there are prizes to be won! 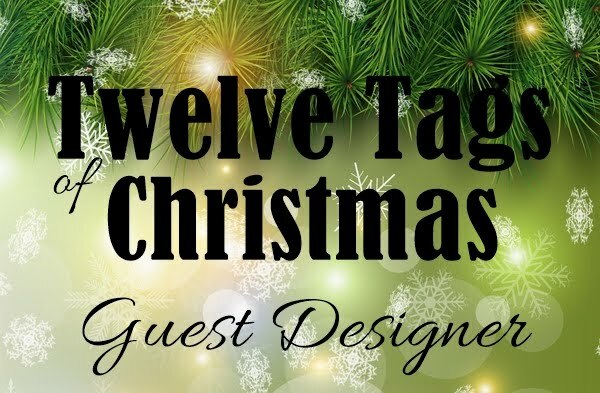 There are a number of techniques you can use for this challenge and you will find tutorial videos linked over at the challenge for ideas and tips. Also, check out the rest of the talented design team for even more inspiration! This was a tricky one to photograph, it leans more towards the pink side, than the blue (as it appears here) but I have got it as close as possible - the reflection off the Glossy Accents didn't help much ... but I digress! 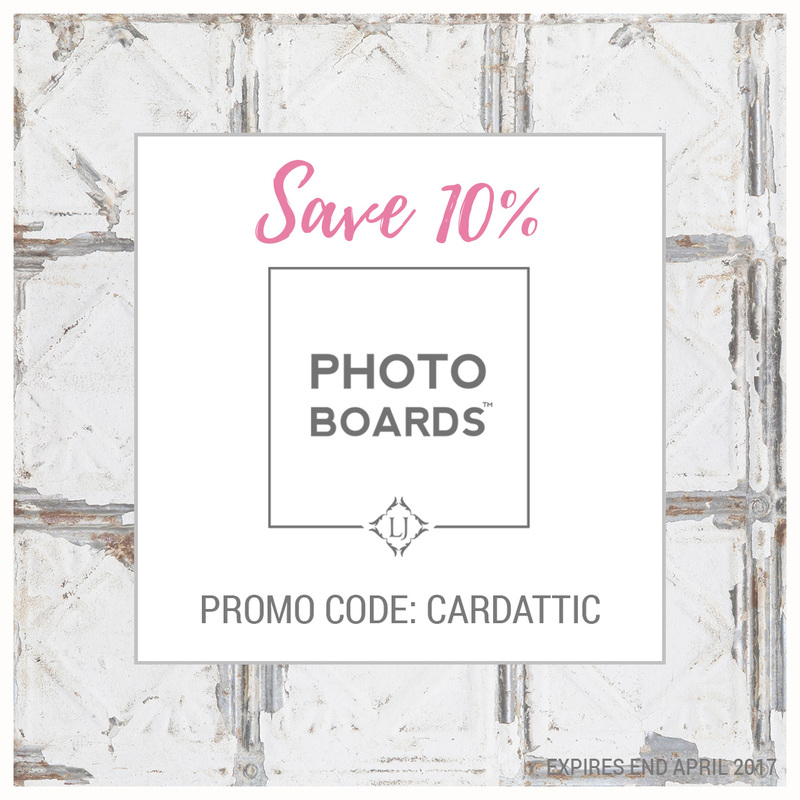 I took a plain, white card base and made a top fold. Next, I took a water-coloured panel, made with the 'smooshing' technique and die cut a stitched edge panel, slightly smaller than my card base, and adhered it down with tape runner. Next, I took a piece of vellum and stamped the Kaisercraft 'Birthday' sentiment with Versamark on to a piece of vellum and heat embossed it. Make sure your heat gun is really hot before applying it to the vellum and start from the back. Work quickly and don't hold the gun too close, that way you will minimise any warping. If your vellum has warped, place it between two cutting plates and run through your cutting machine, or place under a heavy book for a while. 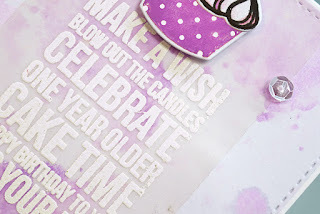 I love the way the vellum looks with stamping on it. Very pretty! 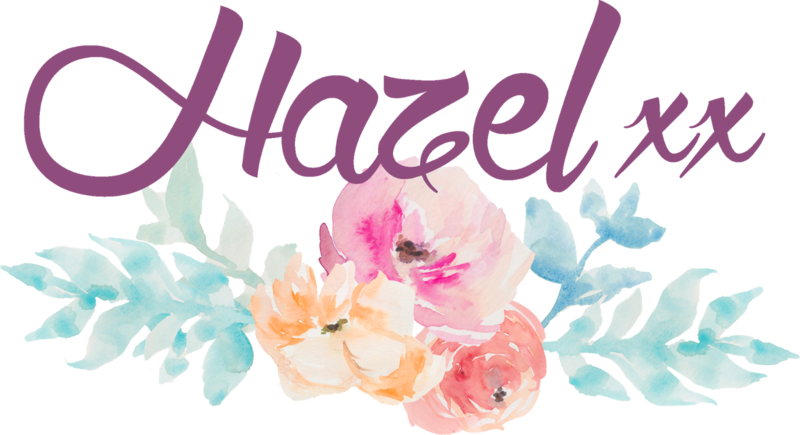 Hazel, this is absolutely sweet and adorable card. The color is totally awesome and thanks for the tip on vellum adhering, I always have quite a challenge with sticking it to the card. 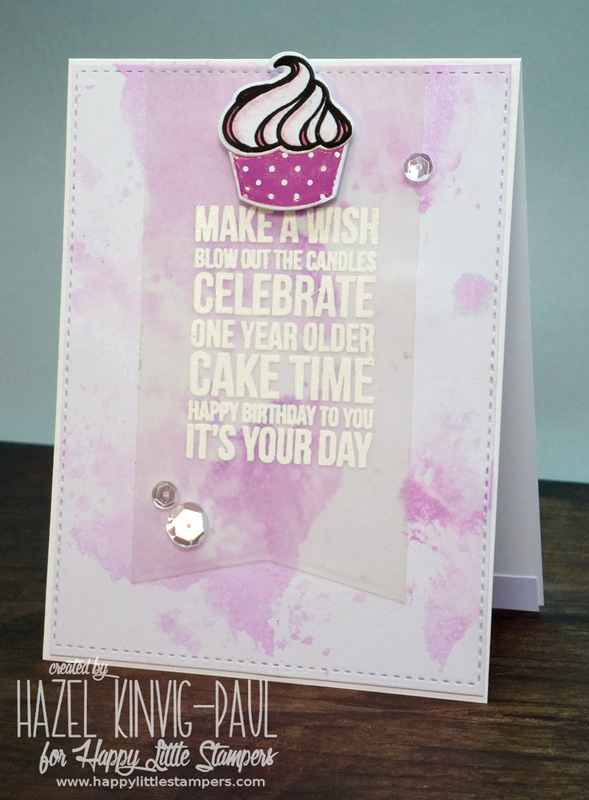 Beautiful card Hazel. Take care and shout if I can help in any small way dear friend. Wonderful sweet card. I love her delicacy! Vellum always softens the image in your card this impression is particularly amazing. I love it. I hope that you are doing fine. I pray for your success and health in your family. Your card is so beautiful, Hazel! 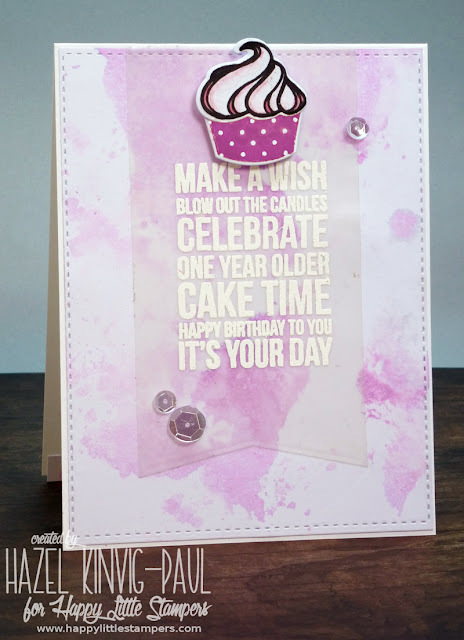 Great job with embossing on vellum and thanks for the Stick It tip! I just scrolled down on your blog since my blogging is so sporadic. I'm sorry to hear about your mother doing poorly. I will keep you both in my prayers. My sweet friend, I've just returned from vacation and read your posts on your mom. I am so, so sorry. She and you are in my thoughts and prayers. I hope you are holding up okay. Thinking of you. 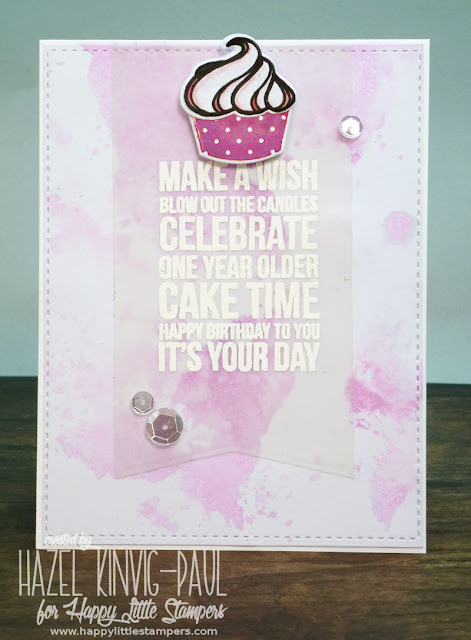 Your vellum tag is so pretty with that cupcake and the soft colors from the background, Hazel! I've been thinking about you. Sending hugs and prayers. Still No Mojo . . . So Bought New Stamps! Lost Mojo & Finally A Card!